As the owner of an anxious dog, I know all too well the challenges that come along with the canine manifestation of anxiety. For many dog owners, the only remaining solution to offer their dog a “normal” life may be medication. Below we will take a look at one of the most commonly prescribed anti-anxiety medications for dogs – Clomipramine. One of the first steps when considering Clomipramine is being able to identify your dog’s symptoms. Unfortunately, dogs have an insufficient means of communicating their symptoms and their needs with us, and as a result, it is essential to track symptoms and their triggers. Some key symptoms are exhibited with separation anxiety, generalized anxiety or stimulus-specific anxiety. Separation anxiety is a common occurrence in dogs because they are naturally pack animals and are not used to solitary life. Dogs with separation anxiety display symptoms when they are away from their bonded companions. These companions do not have to be human. In this type of situation a dog may exhibit the following behaviors or symptoms until they reunite with their bonded companions: barking, whining, destructive behavior, escapist behavior, eliminating in the home, drooling excessively, shaking, pacing and howling. Stimulus-specific anxiety takes place in the presence of a particular stimulus such as thunderstorms. Symptoms are limited to times when this specific stimulus is present and disappear when it is not present. Symptoms of stimulus-specific anxiety are the same as those for separation anxiety. Generalized anxiety occurs in any number of situations. It does not appear to be stimulus-specific or limited to times of separation from the pack. Generalized anxiety can happen anywhere at any time and is characterized by the same symptoms as separation anxiety. Clomipramine is a medication prescribed to both people and canines for a variety of psychological ailments including obsessive compulsive disorder, depression, and anxiety. Clomipramine is a tricyclic antidepressant that works by increasing levels of serotonin in the brain to balance out mood. One of the most significant uses of Clomipramine for dogs is to treat separation anxiety as well as aggression and obsessive-compulsive actions. Clomipramine is sold in capsules that come in a variety of doses. 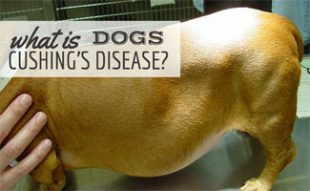 The dose that is right for your dog depends upon your dog’s size and breed as well as the severity of your dog’s symptoms. Your veterinarian will help you to determine which dose is right for your situation. As with any antidepressant, it is important to wean your dog on to a full dose, beginning with the smallest dose possible and increasing that dose over long intervals. Slowly increasing dosage reduces the likelihood of any negative side effects. It is equally as important to wean a dog off Clomipramine as it is to wean them on to it, always check with your veterinarian before stopping any anti-depressant. Clomipramine is a prescription medication and requires a veterinary prescription. It is essential to buy from a reputable vendor to ensure a high-quality medication. There are many cautions to take note of when considering Clomipramine for your dog. As with humans, it is crucial that no dog that is currently or who has in the last 14 days taken a monoamine oxidase inhibitor take Clomipramine. Dogs that have used a Preventic tick collar in the last 14 days should also not be given Clomipramine. It is not unusual to see drowsiness or an increase in the effects of other medications when a dog has been given Clomipramine. Side effects are not limited to these symptoms and discuss with your vet any consequences that appear bothersome to you or your pet. Like many drugs, there are a number of names by which Clomipramine can go by, including Anafanil (made by Novartis,) Clomicalm (manufactured by Novartis) or the generic Clomipramine Hydrochloride. All of these drugs contain the same active ingredient, but just like human pharmaceuticals, they can include different inactive ingredients that may affect how effective the medication is for your pet. Clomipramine is FDA approved for both human and veterinary use by prescription only. Currently, Clomipramine is available in 25 mg, 50 mg, and 75 mg capsules. The basic guideline for the dosage of Clomipramine is 0.5 to 1.8 mg per pound of body weight every 24 hours. The exact dosage is prescribed by a veterinarian. While Clomipramine is sometimes used for cats, it is not highly recommended because cats do tend to be sensitive to tricyclic antidepressants. What If I Missed a Dose of Clomipramine? If you miss a dose of your dog’s Clomipramine prescription, you should give the missed dose as soon as your remember UNLESS it is almost time for the next dose. If it is almost time for the next dose of your dog’s Clomipramine, skip the missed dose. DO NOT EVER double the dose of the medication to make up for a missed dose. If you suspect that your dog has overdosed on Clomipramine, it is crucial to seek immediate emergency veterinarian help. Some of the symptoms to look out for in the case of Clomipramine overdose include agitation, hallucination, drowsiness, confusion, seizures, low blood pressure, fatigue, dizziness, and fainting. To begin with, I would like to share a personal story of my ten-year-old black Labrador Jet. Jet has always been an anxious dog without reason, and I have always been an overprotective “mother” insisting that I did not want to drug my dog. As time wore on, however, I had exhausted alternative options and after experiencing a house fire in 2011 Jet’s anxiety only became worse. I thought long and hard about our choices and tried just about everything I could think of to lessen his anxiety, but nothing even put a dent in his fear. Not only would Jet tremble and salivate none stop, but since the fire, he had begun bolting for the door anytime anything beeped. While this development was an understandable one, it was probably not the safest behavioral adaptation. This was when we spoke with our vet about medication. Over the years I had researched numerous medications, weighing the pros and cons of each. However, at ten years old the potential for doing more harm than good to my senior dog with medication was now at the forefront of my mind. I brought up the idea of trying Clomipramine with our vet. I had heard more amazing “recovery” stories about this drug than many others and felt that it could be our saving grace. Our vet explained that she too had seen amazing results with the drug, but that we would have to medicate Jet every day consistently and potentially wait out a period of four to six weeks before seeing any results. I asked about side effects and anything else we should watch out for with Clomipramine in our senior dog and she stated that of all the clients she has on the drug she had seen very few reactions or side effects to speak of. The only “side note” she mentioned was that we would have to get Jet’s liver enzyme levels checked after a month to ensure that the drug was not harming his liver while it was being processed. A month after we begun a regular dosage of Clomipramine, Jet was taking one pill in the morning and one at night. I had yet to see any signs of improvement in his anxiety symptoms. We scheduled a blood draw with our vet and on the same day picked up Frontline Plus flea and tick preventative. Jet has been on Frontline since he was a youngster but this time something went wrong. Our vet called it an “unseen reaction between Clomipramine and Frontline Plus.” A reaction that overnight turned the application site on his neck blood-red and caused itching and hair loss in significant clumps. Upon treatment our vet gave us the option to continue Clomipramine for another few weeks to see if we saw any improvement in anxiety, I rejected. We are now weaning Jet off Clomipramine and treating the freshly shaved patch on the back of his neck with antibiotics and steroids. Our search for the perfect anti-anxiety solution is still underway. The tricky thing with any prescription medication is how many factors play into its effectiveness. Individual body chemistry, the severity of anxiety or depression, age and other medicines currently being given, all play a part in the effectiveness of the medication. There is no “typical” result and just because our story was an unsuccessful one does not mean that yours will be too. Clomipramine is not the only available solution for anxious dogs; there are some alternatives to consider before deciding to administer this prescription medication. Just as some babies respond well to swaddling, some dogs respond well to the feeling of being swaddled as well. The thunder shirt is a shirt that slightly compresses the dog to make them feel safer during times of extreme stress such as during a thunderstorm. The Thundershirt comes in a variety of sizes and wraps around the dog using Velcro closures. The Thunder Shirt has an 80% improvement in anxiety rate among dogs that have tried it, and it comes with a money back guarantee. If the Thundershirt does not improve your dog’s anxiety, Thundershirt will refund your money completely with no questions asked. Behavioral intervention is available in a number of forms for anxious dogs. Most commonly “Fearful Fido’s” classes are offered which give pet owners the opportunity to learn behavioral modification techniques in small groups. An online dog trainer is a popular and effective solution that may better suit your busy lifestyle. Other pet owners opt to hire one-on-one trainers who can devote more time to their anxious dog’s specific needs. Behavioral intervention is generally the preferred method of treatment for canine anxiety because it is drug-free and teaches a dog the techniques to cope with anxious situations rather than treating symptoms of anxiety. Behavioral intervention is commonly supplemented with holistic anxiety treatment methods. Holistic or “natural” anti-anxiety treatments depend upon herbal supplementation to treat symptoms of anxiety. This method of anxiety treatment is often paired with behavioral therapy as it can lessen the severity of symptoms to focus a dog on learning new coping techniques. Common types of holistic or “natural” anti-anxiety treatments include: Shen Calmer, DAP or Dog Appeasing Pheromone collars and diffusers, essential lavender oil, flower essences, Chinese herbal blend medications, Composure supplemental chews and others. Depending upon your dog’s specific levels of anxiety you may or may not find these types of treatments useful. 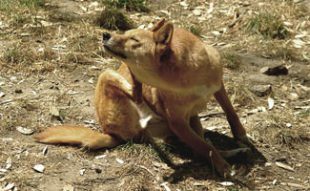 It is important to check with a veterinarian before administering any of these medications because as with humans, even herbal medications can interfere with prescription medications or existing health conditions. Considering medication for any pet can be difficult because it is impossible to know just how your pet is feeling while on medication. It is also important to know that many prescription medications come with serious side effects that require continuous monitoring. For some pet owners, however, anxiety medication may be the only solution to give their pet a healthy life. If you have tried all other anti-anxiety measures to no avail, medication may be the only remaining option. If your anxious dog has shown no improvement with other treatments for anxiety, it is important to research all available anxiety medications such as Clomipramine and to speak with your dog’s veterinarian to find the right match for your dog. Some things to consider when researching medications for your dog’s anxiety include: the severity of your dog’s anxiety, your dog’s age, your dog’s current health condition, any existing medications, the cost of medication, the potential side effects of a medication and how long a particular medication has been on the market. All of these things will help you to get a picture of which anti-anxiety medication might be the right choice for your dog. At ten years old Jet is considered to be a “senior” which means that his bodily system may not be as tolerant of medications as that of a younger dog. In addition to his age, recent events in his life (our home fire) resulted in a significant worsening of his symptoms which drove me to seek out an anxiety solution that would allow him to be comfortable in his own home. Over the years I have worked with Jet on behavioral modification as well as tried a variety of herbal and natural anxiety solutions, all to no avail. Our final option before medication was the Thundershirt and unfortunately for Jet, the shirt did not work. It was at this point when my dog was running for the door every time the toaster beeped, cowering and trembling every time he set foot on a wooden floor and drooling and pacing obsessively when I left the house that I decided to consider Clomipramine. Unfortunately for us, Clomipramine showed no improvement in Jet’s anxiety over the first four weeks. Our vet asked me to consider another few weeks on the drug to see if he received any relief; however, after one significant reaction between Clomipramine and Frontline, I decided that it was time to wean him off the drug. Some professionals might say that in cases of severe anxiety like Jet’s that he is just “too far gone” for help. As a responsible pet parent, however, I continue to seek a canine anxiety solution that offers my senior dog a degree of comfort and relief. 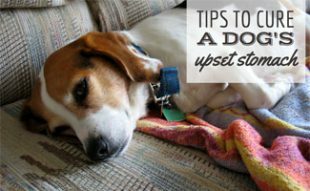 Just because Clomipramine didn’t do what I hoped it would work for Jet, doesn’t mean that it won’t show some improvement in your anxious dog’s symptoms. Clomipramine has a history of high relief rates, a low incidence of side effects and is an affordable option for those considering anti-anxiety medication. Has your dog taken Clomipramine? Lola, 2yo Great Dane, has been on Clomicalm for 1 year. She CALMED DOWN from pill # 1. CAUTION: Clomicalm and anesthesia DO NOT GO TOGETHER, so if surgery needed, dog has to be off it for 2-3 weeks before. If not for Clomicalm, I would have had no choice but to put her down. She is the worst Dane I have had out of 4.
we are glad we can keep her with us. Danes are usually gentle and calm, especially as they age, but we still have difficulty walking her. We also still have to use a spray collar for some control & training. She is not anxious, just totally rowdy all the time. Dog aggressive EXCEPT when she goes to doggie daycare, then she ignores all the dogs and stands alone on sidelines. There must be a screw loose in her brain, Clomicalm make her able to be lived with. My 14 year old Chihuahua has recently started taking Clomicalm. She was having an increasingly hard time with separation anxiety during the day when we were gone. We would come home to torn up pee pads and messes all over. Even though she has her sister here with her, she was still having a difficult time. At night, she would wander around and bark for what seemed to be no reason or she would cry incessantly for me to take her in bed with me. She is having some sight and hearing problems and we felt this was also causing her part of her anxiety. After one week, she was sleeping all night in her own bed…something she hadn’t done in months…and the day time issues are MUCH improved. And we have seen it getting better each day. I have just refilled her prescription for the second month and I have nothing but praise for how this has helped her. For those saying, why would you drug your dog, I am puzzled by that attitude. If you have a mental illness, would you not treat it? My dog was so anxious and scared. Would you like to live that way all the time? It’s winter here right now, and I am hoping it will also help with her anxiety during thunderstorms which is so bad, that on occasion we have cancelled plans to go out so that we could stay home with her. She takes 1/2 of a 5mg pill twice a day as she only weighs 3.5lbs. We are in Canada and through our vet the cost is $67/month. That price is insane! I paid $60 for 30 20 mg pills. Today I bought my dog’s meds at Costco. $42 (brand name, generic was even cheaper, but they didn’t have it) for 2 month supply. I have a Bernese Mountain Dog, high anxiety. Stressed by everything particularly loud noises. Cannot walk him because the noise of a car driving by causes him to bolt. He also bites when stressed. Soils the house due to separation anxiety. I don’t see how you train this out of a dog. He is better on Clomicalm, not a normal dog, but better. Hi. I have a very sweet King Charles. He’s 5 years old. About a year ago he was attacked on a walk by an Akita. Both dogs were on a leash. This dog lunged at my little guy as we walked by, grabbing his neck and shaking him. Thank God he’s ok. But he’s not been good now when out walking and he sees big dogs. He barks and cowers. He will shake and whimper. My vet started him on a small dose of clomicalm and it helped some but not enough so we are increasing just a bit. He’s still his happy self, but just a little less anxious. I do see a difference. I am so sorry your sweet dog experienced this. How terrifying for him. I hope he is able to enjoy his walks and feel a little less scared when he’s around larger dogs in the near future. Hi Angie, I have a 90 lb rottweiler mix that suffers from separation anxiety and stimulus related anxieties. We are contemplating giving him clomicalm – Id love to hear more about your experience with it now that several months have gone by. I hope it has helped you! Considering the massive number if serious physical adverse reactions, not to even mention the psychiatric ones, associated with all antidepressants I cannot even comprehend why anyone would ever recommend one to a human, much less a poor innocent dog who cannot tell you what they are feeling. I have spent 30 years helping people go through withdrawal from antidepressants and cannot imagine putting any breakthrough that kind of bell on earth!!! I’m sorry, you feel that way. I can only conclude that you have never had life-threatening depression because if you did you would understand it 100%. It does say on the “Cautions with Clomipramine” section that dogs that have used a Preventic tick collar in the last 14 days should also not be given Clomipramine. Maybe that’s why your dog got the rash? I asked my vet to prescribe this drug and send it to Costco for me to pick up. It’s way cheaper that way! We’ve just started our 5.5 year old St. Bernard on this. After years of trying all of the different remedies, including: rescue remedy, canine composure, training, thunder jacket, touch (which I highly recommend, BTW), we finally realized our big guy needed some help. His problem is anxiety/OCD. He just cannot settle; he paces, pants, whines and obsessively chews at his legs and tail, ripping chunks of fur out. We’ve done full blood panels, allergy tests (he’s off wheat now) and x-rays to ensure it was nothing physical. Our vet prescribed 200 mg/daily (he’s 140 pounds) and also gave us a prescription for Xanax on an as-needed basis. Maybe it’s wishful thinking, but after a week, he is noticeably calmer and more relaxed. Can’t say enough good about this one! Sounds like you need to find a Vet with a brain!!! 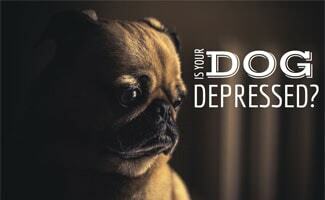 Who would put a dog on an antidepressant a benzo?! Thank God, your not a vet!!! A lot of vets that is who.The better question is why would you judge someone when you know nothing of the situation. For the record, I to have a dog on the medicine it has changed her life so much. Why is her anxiety so sever because someone threw her in a swamp with alligators? Lisa I hope your sweet boy continues to improve. I have a Jack Russel-Chihuahua mix he is almost 2 years old. He suffers from separation anxiety (even though our Shitz Tzu is with him) and is terrified of thunder storms. We tried the Thunder Shirt it didn’t help. He shakes uncontrollably and pants so hard I’m scared he is going to have a heart attack or stroke. It breaks my heart because nothing we do calms him down. We live in Alabama right in the tornado belt…. and we are in tornado season. The last thing I want to do is drug my fur baby. We called our vet and explained whats going on with him and decided to try this…. I don’t think anyone wants to drug their pets most try anything and everything else and turn to this as a last resort. Thank you for a comprehensive article which included your experience. My dog has separation anxiety, but he only barks when I leave and when he hears me return (I know because I’ve parked my car down the street, several times, and snuck back to listen). Except for some scratching on the door when he hears me, there’s no destructive activity when I’m gone. But he did have anxiety about loud sounds and unusual lights, like fireworks, thunderstorms, and unexpected sounds that startled him while we walked, and ThunderShirt not only stopped his reaction while wearing it; after putting it on during stressful situations a few times, the stress reaction stopped even without the ThunderShirt – except for startling loud noises while walking on the street, which quickly passes. I live on a lake with a lot of 4th of July fireworks, and he sits in my lap while I’m watching them from the porch, without the ThunderShirt, and without any signs of stress. I have never tried the Thundershirt for separation anxiety, because when I come home, he’s panting, and I don’t know if he’s been panting all along, or if it starts when he hears the sound of the car when I come home, so I don’t want to risk his overheating in a ThunderShirt when I’m not there. But … a part of me also thinks I should get a child cam to see and hear what his level of stress is when I’m not there. Getting some type of camera may not be a bad idea. This will give you a better understanding of what your dog experiences throughout the day so you can help him more. 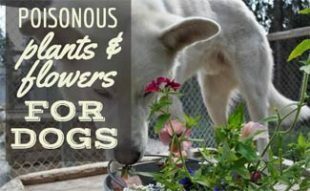 We’ve written an article on pet cams, https://www.caninejournal.com/pet-cam/#dog-camera. Take a look and feel free to ask any questions you may have! Amy so sorry to hear your dog is suffering from depression and that this medication didn’t help Jet’s sad symptoms. My dog has also been sluggish lately but am going to try some of these natural remedies first before going down the medication route. Doggy depression is never easy so stay strong and hopefully our puts can have pep in their step soon.